Holley/MSD is pleased to announce that Sniper EFI 2300 2-Barrel Self Tuning Kits are now available in three distinct finishes – shiny, classic gold, and black ceramic. 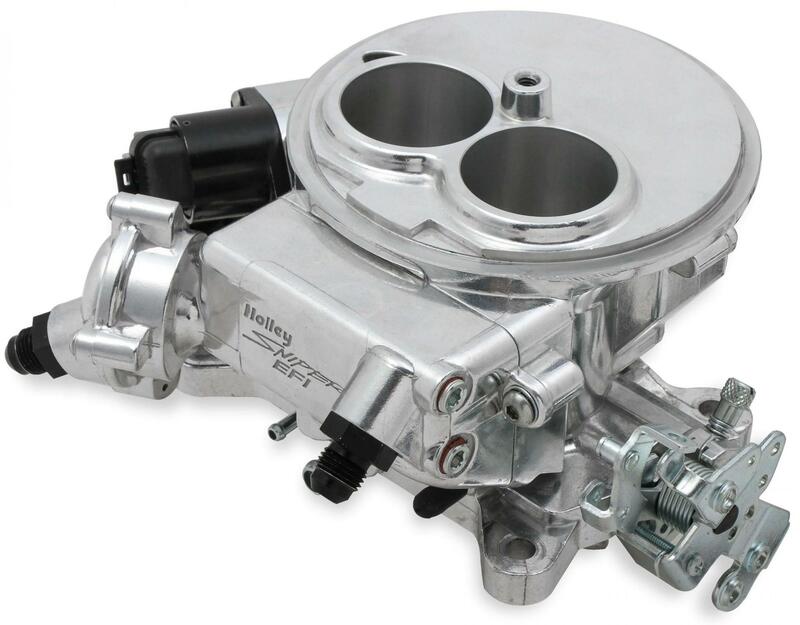 They're bolt-on carburetor replacements designed specifically for vehicles that came standard with a 2300 2BBL Holley carburetor, including the classic Mustangs, Fairlanes, Galaxies, Falcons, Comets, F100s, Javelins, Rebels, Thunderbirds, and Cougars of the '60s and '70s. 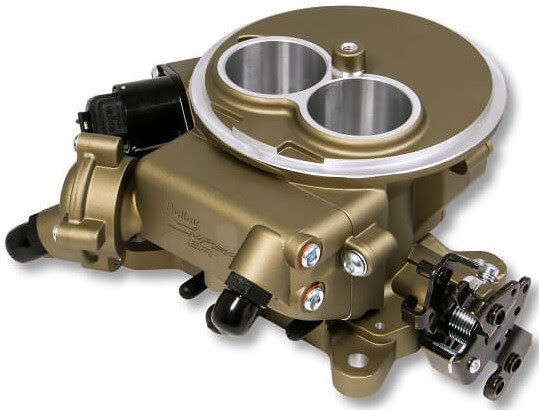 Priced to provide all the benefits of EFI and save you money to finish or upgrade any other aspect of your ride, it's compatible with 4-bolt/4-barrel to 4-bolt/2-barrel, Quadrajet, and Rochester flanges with the simple addition of a Mr. Gasket adapter. 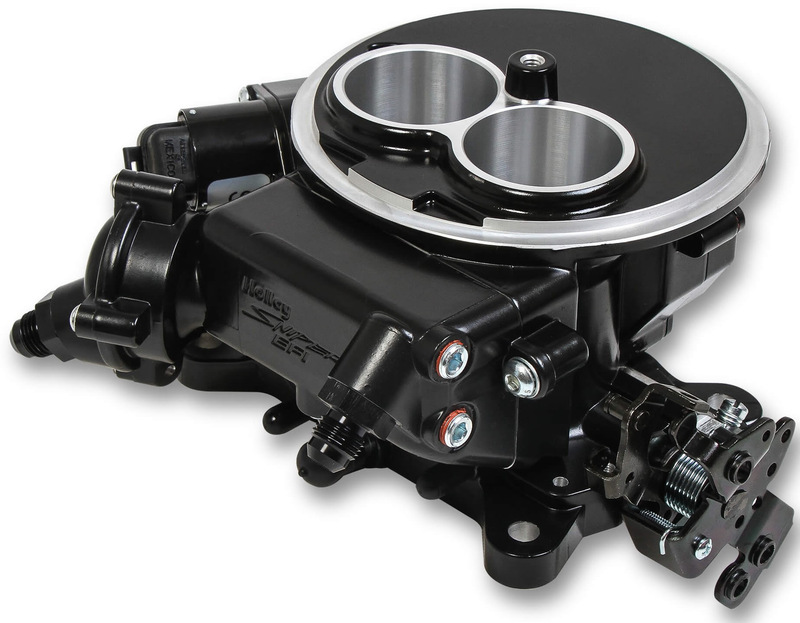 It easily handles up to 350 horsepower, and with the throttle-body-mounted ECU, there are no extra boxes to mount and no fabrication required. Installation doesn't get any easier – just four wiring connections are required: battery positive, battery negative, switched ignition, and RPM. A calibration wizard takes care of everything, and no laptop is required – just answer a few questions about your engine, and the calibration wizard creates the base map and starts tuning on its own. All Sniper EFI 2-barrel systems put an end to cold-start issues, hesitation, vapor lock, and flooding. A Master Kit is also available that includes everything to build a complete fuel system, including 20 feet of 3/8-inch Earl's Vapor Guard fuel hose, an 80 GPH in-line universal electric fuel pump, fuel filters, all the necessary hardware, and a bulkhead fitting to return fuel to the tank.